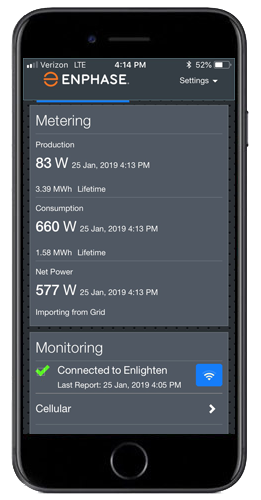 If your system was installed with an Envoy-S or IQ Envoy or the IQ Combiner 3, you can access real time production and consumption data directly from the Envoy by following a few simple steps on your Enlighten mobile app. 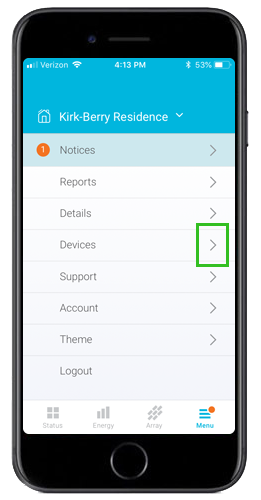 Without closing the Enlighten mobile app, open the Wi-Fi settings on your mobile device. 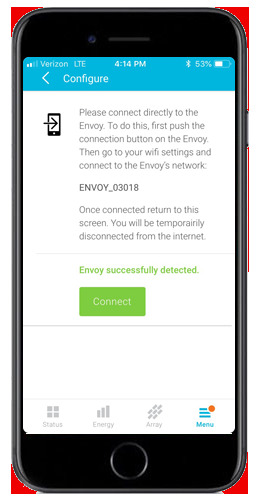 Connect to the Envoy network. Return to the app. 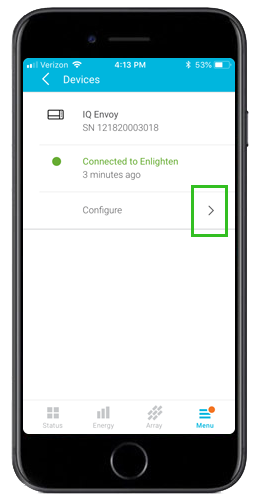 Momentarily you will see a green Connect button. Tap to Connect. 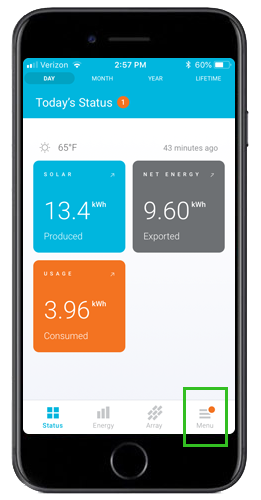 You are now connected to the Envoy and can view real time production and consumption data.